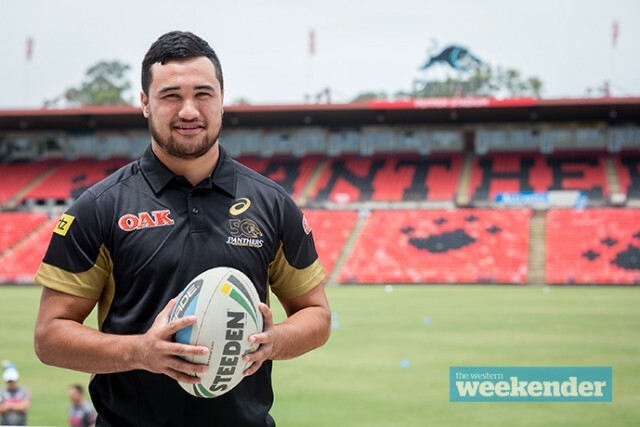 Warm, humid weather greeted new Penrith recruit Peta Hiku on Tuesday afternoon as he began his new life as a Panther. The former Manly Sea Eagles star and Kiwi international was a late, surprise inclusion to Penrith’s plans for 2016 after he inked a three year deal with the club late last week. Hiku was released from his Manly contract two years early so the Sea Eagles could sign South Sydney Rabbitohs star back Dylan Walker. The 23-year-old will be with the Panthers until the end of the 2018 season. Hiku had a number of clubs chasing his services for next season and beyond but speaking at a media conference this week, the New Zealander said he was pleased and relieved to have his future sorted for the next three years. “Penrith were a late inclusion in the negotiations but they were the best option for my family,” he told the Weekender. Hiku began his career at the New Zealand Warriors (lower grades) before signing with Manly in 2013. He went on to play 61 first grade games for the club, scoring 28 tries and kicking three goals. Classy in any position in the backline, Hiku even played five-eighth during New Zealand’s recent three Test series against England. With Penrith losing superstar centre Jamal Idris this off-season, it’s expected Hiku will fill that vacant role that was causing new coach Anthony Griffin a headache. “I think a big part of Gus getting me over was me having experience in the centres,” Hiku said. With Manly blessed with an excellent fullback in Brett Stewart and two great centres in Steve Matai and Jamie Lyon, Hiku spent most of his time at the Sea Eagles on the wing. “I wasn’t really a winger, I didn’t enjoy being on the wing,” he admitted. 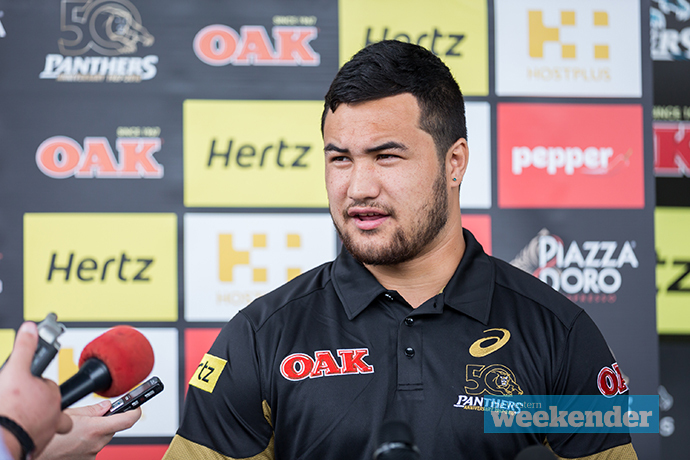 Hiku will spend the Christmas break moving his family from the Northern Beaches to Penrith.